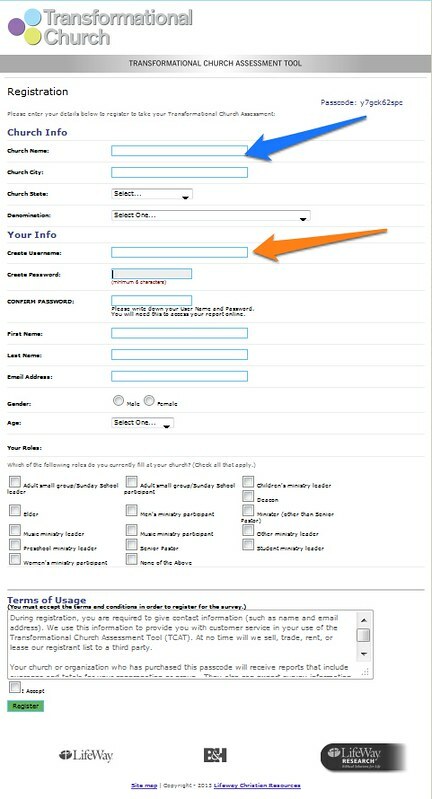 Once you have purchased the TCAT passcode for your church, the very first person to register it will be assigned as Primary Contact. The first time they register, they will need to do the following. Enter the passcode you received at the time of purchase in the box under First Time User. The next time you log in you will will enter your username and password that you are about to create on the registration page. You'll be taken to the registration page. 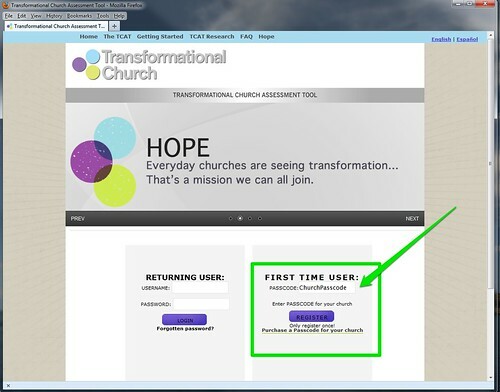 You will be entering the church's information and your information on this page. Your username and password will need to be unique. When you get to the section on roles, check all that apply to you. The Primary Contact role is automatically assigned to the first person who registers. If you are also the Senior Pastor, select that one so that it will not appear for others. If not, please request that the Senior Pastor complete the registration next. Once that role is selected, it will not be shown to any other registrants.